Another connection was established to the console of this machine. 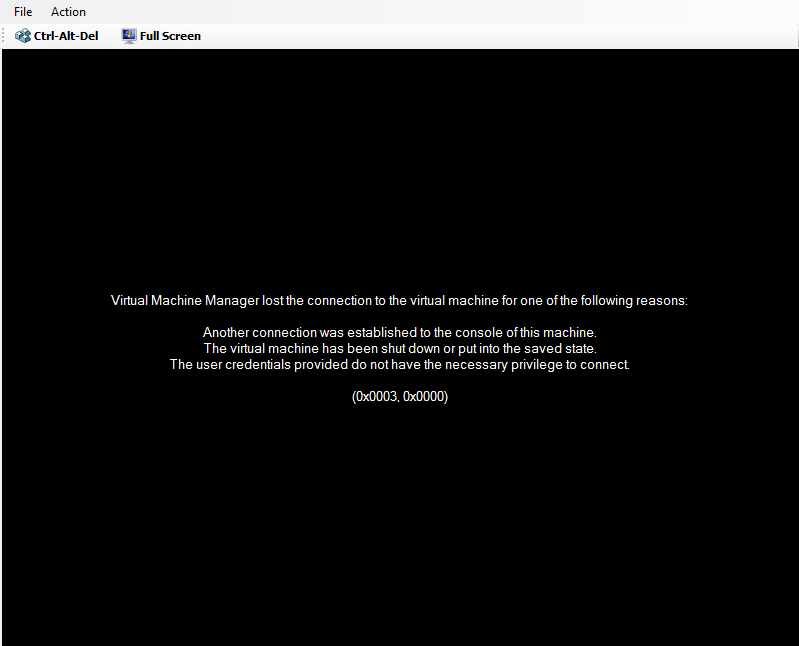 The virtual machine has been shut down or put into the saved state. The user credentials provided do not have the necessary privilege to connect.